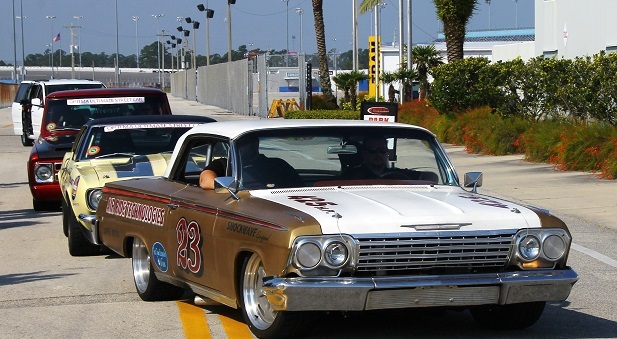 The Optima Ultimate Street Car Challenge (USCA) at Daytona International Speedway was held May 23rd – May 25th. 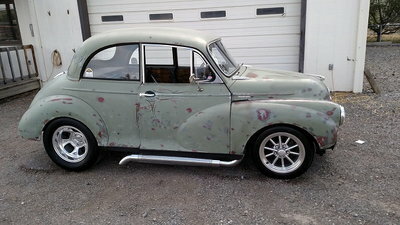 Like all parts of the Challenge, it is intended for enthusiasts of all skill levels to campaign real street cars in a safe, fun, consistent format. Day One was reserved for registration, technical inspection and getting the all important sponsors stickers affixed to your car. A 70 mile road rally took place later Friday, sponsored by Detroit Speed & Engineering, to get everyone in the mood. Saturday was the mandatory safety meeting and instruction prior to going out for the BF Goodrich sponsored Hot Lap Challenge. This course is the same course used by the ROLEX race in January each year. Tony Grzelakowski was participating in his first event. He was running a 1970 Chevelle bar find that featured gear manufactured by his own company (ABC Performance). “Can you believe we’re running the track at Daytona,” he enthused. Aaron Oberle of Lapeer Michigan had the same sentiment. He brought his family down to Florida as a vacation to experience the whole event and commented how nervous he was being on the track for the first time. His car was a 64,000 mile ’65 Chevelle he found in New Hampshire. Aaron replaced all the running gear –an LS1 Motor, 6 speed T-56 and a host of suspension/dash goodies from his friend Tony Grzelakowski. Detroit Speed and Engineering (detroitspeed.com) was both a sponsor and a team, running several cars in the series. The shop started life in a two car garage, and now it builds and engineers many of the components on so many of the cars that were here. Owners Stacy and Kyle Tucker have years devoted to racing. Stacy started turning wrenches with her dad at an early age, graduated first in her class in high school, then went on to Purdue for a degree in mechanical engineering. She worked for GM and while there secured a Masters degree, also in mechanical engineering. She was a member of the pit crew of an SCAA race team owned by one of the GM executives. 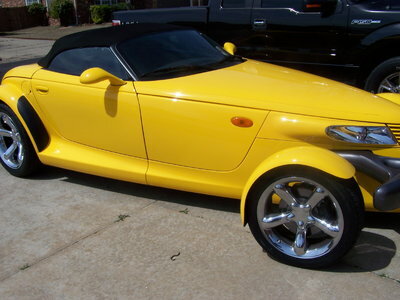 They ran four Penzoil Corvettes, and Stacy borrowed one, eventually earning her racing license. Husband Kyle also co-op’d at GM, where they met. 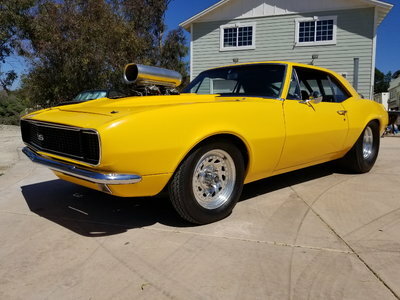 They built their ’69 Camaro, the “Twister”, in 2000 and won the Good-Guys Muscle Car of the Year award. 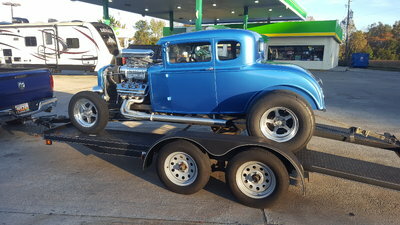 They sold the car and started up Detroit Speed and Engineering which now encompasses several warehouses and production facilities in Morresville, NC. It is used to fabricate and refurbish customers cars, design and engineer as well as manufacture new products and sell other manufacturers products. Sunday brought on the two other events: the Ridetech Street Challenge Autocross and the Wildwood Disc Brakes Speed Stop Challenge. Cars were broken down into two groups (a 43 car field all told!). The autocross and speed stop are all timed events with the winners gathering points for the final event held in Las Vegas Nov 8-9 to crown the overall winner – the Optima Ultimate Street Car. 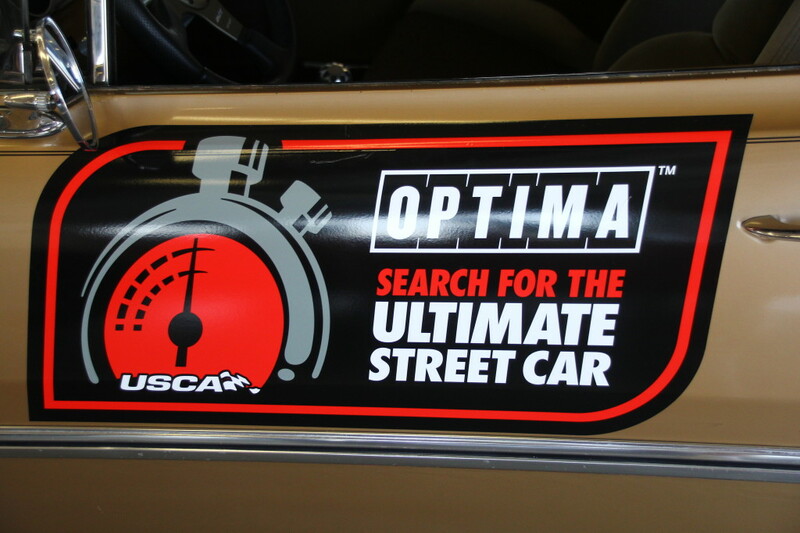 Congratulations to the OPTIMA Search for the Ultimate Street Car overall class winners at Daytona International Speedway. AWD – Steve Kepler, Nissan GTR; GT3K – Kyle Tucker, Chevy Camaro; GT2K – Mike “Jr” Johnson, Chevy Corvette; and our K&N Filters Spirit of the Event Award goes to Dan Howe in his G-body Monte Carlo. Steve Kepler won an invite to the OUSCI at the last USCA event in Texas, so Todd Earsley in his Mitsubishi Evo earned the AWD OUSCI invite. Gary Rosier took up photography 4 years ago in his retirement, but has discovered a passion for covering automotive and aeromotive events, particularly around Daytona Beach, FL. 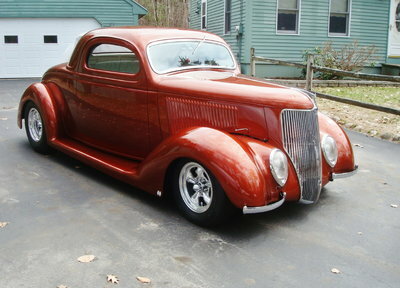 You can also find him on Facebook and his own site http://www.carsplaneslandscapes.com. 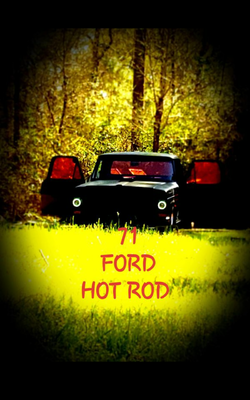 Custom Street Rod High End Build! !